Graphic Contempo was a residential project focused in the Guild Haus in Cincinnati, Ohio’s, Over-The-Rhine neighborhood. The Guild Haus is a former brewery that has 4-stories, a basement, and a sub-basement. The project began with a new program for the building. The only requirement was that there were some residential units within the space. I chose to create a mixed-use building, in which, I opened the entire center of the structure to create an indoor atrium and community space as seen in the spatial and circulation diagrams below. 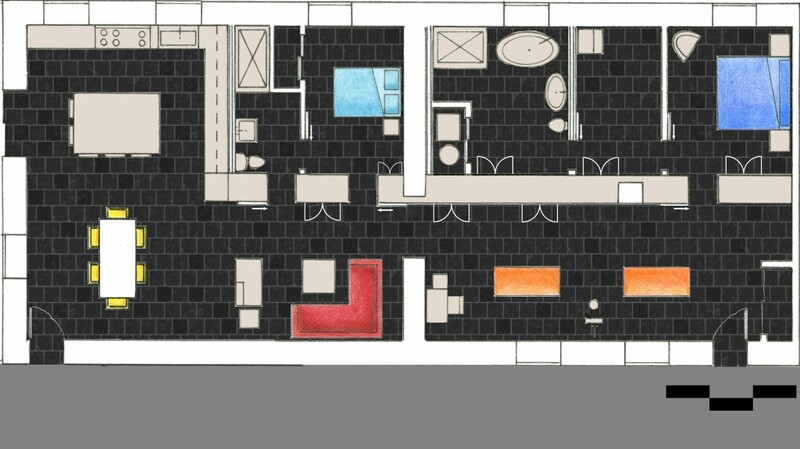 After programming the building we were charged with designing one of the residential units within the space. My client–a single, thirty-something female is interested in art and the urban lifestyle. Her program required a large artist studio space, open living area, private bedrooms, and storage for everything–no gadgets, books, or electronics in sight. A graffiti wall runs through a majority of the space and acts as two-sided accessible storage and a divider between the private and public spaces of the home. It also pulls together the pops of color within each space. 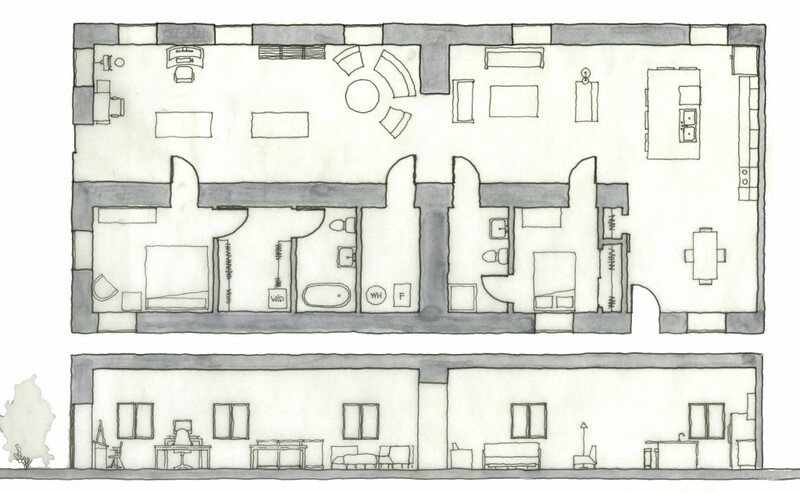 Above: Floor plans and section from midterm critique. Modeled in Revit, Micron and water color on trace paper. 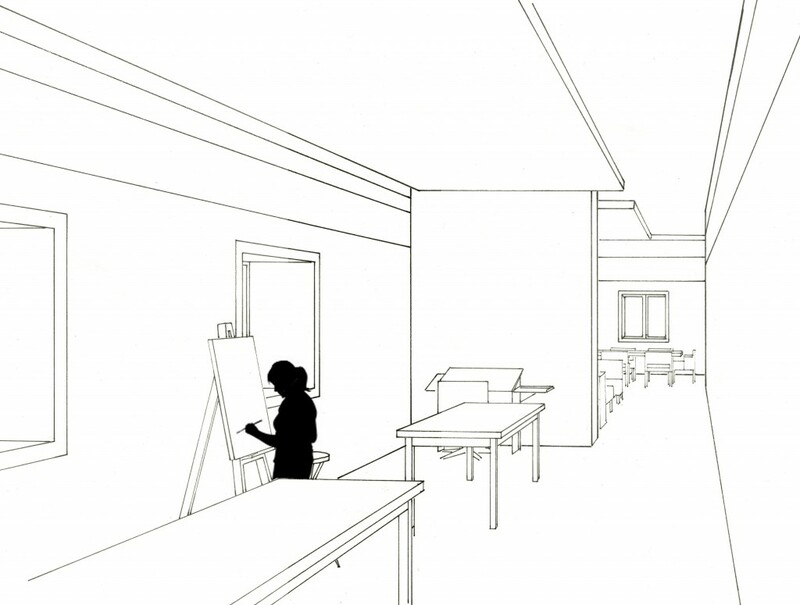 Above: Interior perspective of studio from midterm. 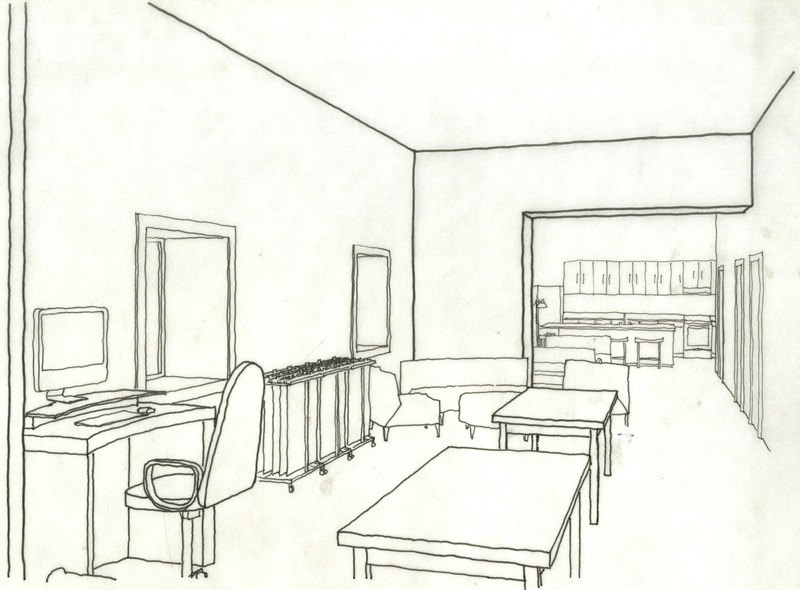 Modeled in Revit, Micron on trace paper. Above: Final floor plan. 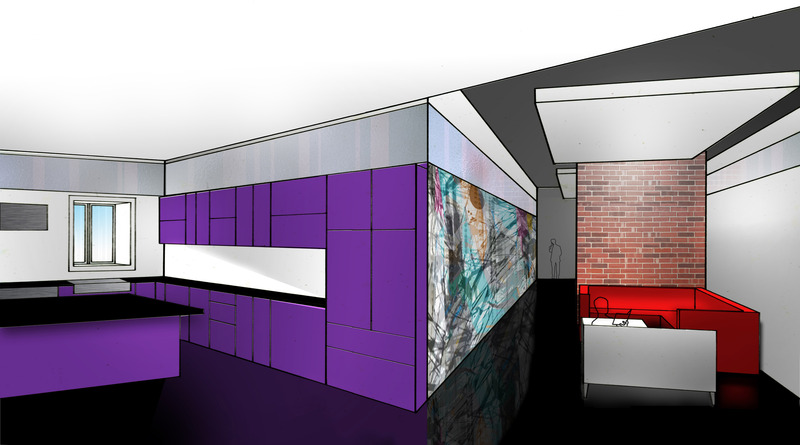 Modeled in Revit, color pencil and Photoshop rendered. Above: Final studio perspective. Modeled in Revit, Micron on Vellum. Above: Final interior perspective. Modeled in Revit and Photoshop rendered.